If you wanted to drive to the convenience store to buy a gallon of milk, you would take the shortest, straightest route, right? But what if local regulations required that you drive three blocks north, two blocks west, three blocks southeast, and around the park before you could get to the store. It would be a ludicrous exercise. Yet, that is precisely the metaphorical situation faced by physicians every day as they try to get insurance eligibility verification for patient care. It is a complex, convoluted process that places increasingly onerous administrative burdens on physicians and soaks up valuable time with patients. The situation is so onerous that professional medical associations have taken up the cause. Many have produced specialty-specific prior authorization toolkits for their members to reduce complexities and streamline workflow. In most cases, they provide a vital map to navigate the medical eligibility verification process and decode some of the complexities involved. We can’t review every specialty’s toolkit here, but we can give you an insightful overview of what they contain. Then you can seek out your medical association’s toolkit and put it to good use to protect your revenue. The AMA has provided an assortment of toolkits for administrative simplification. Because one patient can require multiple prior authorizations for treatment, medications and medical equipment and payments vary, the AMA has developed toolkits that address prior authorization, electronic transaction services, electronic payments, electronic remittance advice, electronic claims, workers compensation and auto injury. 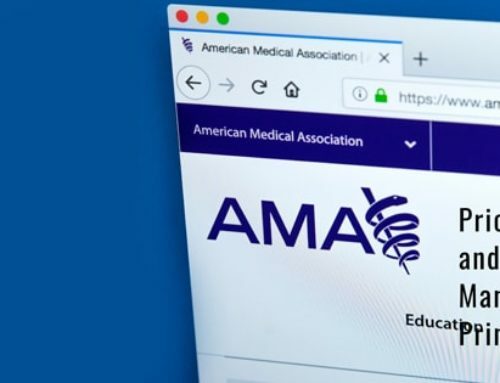 The AMA members-only portal has toolkits available for download. This is a robust toolkit with information, resources, interactive tools and real-life comments from members. Together, these elements give physicians a common sense guide to completing medical eligibility verification. Here is an overview of the contents. “The 101” tips and tricks: The ACAAI recommends that physicians follow four basic guidelines when it comes to prior authorizations (PA). Institute policies and procedures to stay organized and ease prior authorization (PA), i.e., standing orders for commonly prescribed medications, dedicated staff members to track prior authorizations and electronic folders that keep health plan contact information in one place. Use technology to your advantage; scan insurance cards, submit PAs electronically and keep forms in each patient’s EMR. Engage patients in the PA process. When it comes to medications, coach patients to call their benefits managers and insurance plans. Do some problem-solving before you respond to a prior authorization request or a rejection notice. Simple answers sometimes solve looming problems, for example, did the patient request a refill too soon or did the pharmacy enter the wrong code? Interactive tools in this toolkit do a lot of work for the practice and save staff lots of time by providing templates like prior authorization letter generators for asthma and dermatitis. Resources include tips on simplifying prior authorization using electronic interfaces. When professional association toolkits suggest “get organized,” seeking a toolkit from each health plan is probably a good first step. If available, they can provide valuable details that will save time, money and wasted steps for physicians and staff. As we reported earlier in our series on prior authorization, 86% of physicians say mandated prior authorizations for treatment and medications is increasing exponentially. No one expects them to reduce in number or complexity anytime soon. Toolkits can take some of the work off your desk by providing guidelines, prepared materials and forms. When your medical association does some of the footwork for you, it may help to ease the pain of insurance eligibility verification.